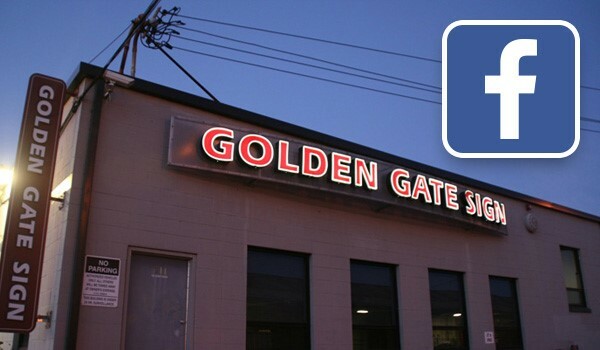 With a staff trained in both the technical and aesthetic aspects of sign design, Golden Gate Sign Company is the San Francisco sign company that businesses turn to for the high-quality signs that will attract and keep clients or customers. Our sign fabrication staff will meet with you to understand your requirements and will design a signage model that takes both your aesthetic and business objectives into account. Your exterior or interior sign fabrication process will be completed in our expansive Oakland facility, and will be installed and maintained by our team of sign building experts. When you choose Golden Gate Sign Company, you can be sure that your new sign will last your company for years to come with crystal clarity and beautiful design. Our sign company performs both exterior and interior sign fabrication using some of the most in-demand and long-lasting materials in the industry. Create custom signage matched to your brand image with metal signs, LED or neon signs, masonry signs, plastic signs and more. We offer digital printing for vinyl banners, traditional awnings and other printed graphics for exterior or interior custom display options. Choose among a wide range of materials and finishing options to create the perfect illuminated signage, painted signs, aluminum signs or acrylic signs for your business. Golden Gate Sign Company! We have the cost-effective design and engineering solutions to your signage problems. To learn more about our sign fabrications services, fill out our no-obligation quote form to receive your FREE estimate, or call us with your exterior or interior sign fabrication requirements today.